For breathtakingly beautiful views of alpine mountains and lakes, Les Orres is a number one choice. This idyllic resort is made up of nine quaint little hamlets, all of which boast their own charming spin on the traditional mountain culture of the French Alps. 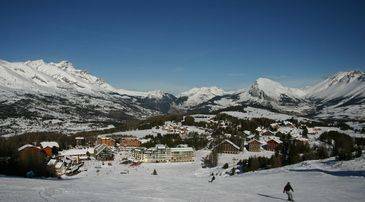 Les Orres is a hugely popular skiing destination thanks to the excellent snow conditions on the resort's 88km of alpine ski slopes and 40km of Nordic slopes. In addition to this, Les Orres is a stunning summer holiday destination. During the warm and sunny season, the resort is transformed from a winter wonderland into a lush landscape which is perfect for hiking, outdoor sports and relaxing alike. Madame Vacances welcomes you to spend your summer holiday at our two Les Orres residences; Les Balcons des Airelles and Le Parc des Airelles. Both of which are perfectly placed in Les Orres with views of the towering 4102m mountains which make this resort, in the Hautes Alpes region of south east France, such a must-see location. Our Les Orres residences cater for up to eight or 10 guests at a time, making them great for large groups of family and friends. Holidays to Les Orres are all about action and adventure, especially during the summer. The stunning mountainous landscape is waiting to be explored and there are plenty of exciting ways to do just that. Climb the rugged mountainsides and cliff faces with the help of a fully qualified climbing instructor, or if rock climbing is a little too exhilarating, try exploring the surroundings on horseback or by bike. The resort is served by miles of tree lined and rocky pathways which are perfect for riding or cycling, and all of these pretty paths provide blissful views for miles around. When the warm weather hits the resort and thaws the icy mountain lakes, water sports become particularly popular in Les Orres. There are plenty of adventures to be had in the alpine streams and lakes, including white water rafting in the rapids, kayaking, and canoeing. For something slightly more leisurely, try a spot of fishing and simply immerse yourself in the tranquillity of the area. Hiking is a great way to get to know Les Orres. The resort boasts long stretches of walking trails which vary in difficulty meaning that every type of traveller can find a suitable hike to enjoy. Active guests can enjoy the rocky paths which stretch high into the mountains, while children and less experienced walkers will enjoy the well-lit footpath which links Les Orres 1650 to Les Orres 1800 Bois Mean. This path will take you through picturesque rural scenery and takes around 20 minutes to complete. Hours of fun can be had playing paintball at the large course in the resort, or pay a visit to the Jungle Adventure course. Set in one of the most densely wooded areas of Les Orres, this exhilarating centre is well suited to holidaymakers of all ages and features obstacle courses including a high wire rope ladder set in the tops of the trees. This isn't the only way to get a thrill at dizzying heights in Les Orres; the resort also has via ferrata, paragliding, and escalade excursions on offer. If, after all of these adrenaline inducing activities, you would like to head indoors and relax then pay a visit to one of Les Orres' spas which offer luxuriously pampering treatments including massages and saunas. There is a wide selection of restaurants on offer in this resort, from Michelin star brasseries to family-friendly snack bars. Situated very close to the slopes, Lou Cuguilloun is an authentic alpine eatery, serving fine French food in a rustic and picturesque environment. This restaurant is a firm favourite with local residents thanks to its delicious traditional menu options which use only the freshest ingredients sourced from the surrounding areas. Snow Fever is an excellent choice for families. Set in the heart of the resort, this international eatery is affordable for all and offers favourite dishes such as pizza and pasta. There are plenty more to choose from as Les Orres has numerous slope side restaurants, most of which open up their mountain facing outdoor terraces during the summer months. Les Orres is not a lively nightlife hotspot, although there are more than a dozen bars and pubs to choose from, offering relaxed, fun nights out, as well as one nightclub: Les Caves. The bars of the resort are reasonably priced and stay open until late; with some hosting live music events during the summer, while Les Caves plays dance and electronic music well into the early hours. There are also other fun ways to spend summer nights in Les Orres such as at the mini bowling alley in the shopping centre called Le Bowlingo. L'Ubac Cinema is also a popular option for families. 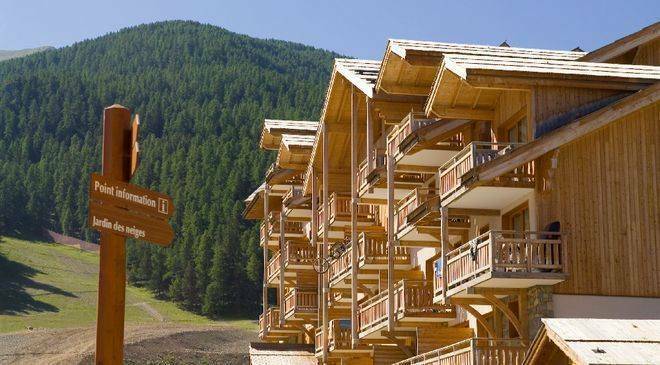 Les Orres is served by downhill ski, cross country ski, and mountain bike lifts. From the end of July to the beginning of August these lifts remain open from 10am to 5pm every day and lift passes can be purchased from the tourist office for Eu14 per day, or from Madame Vacances before you travel. There are plenty of childcare facilities on offer in the resort. English speaking nannies and au pairs can be hired and there are two nurseries which are suitable for children aged between six months and five years: Les Pitchounets in the centre of the resort and La Farandole in Bois Means 1800. Les Orres has short stay car parks for unloading and dropping off. For longer stays, there are five car parks which are extremely spacious and are also available for free. The main car park can be found at the central station by the junction of Les Orres 1650 and Bois Mean, where there are roughly 200 spaces available.